When you take advantage of the storage options at Fountainbleau Storage, you’ll be able to store with confidence. Our property, located on Tulane Avenue near the heart of New Orleans, is fenced, gated, and continually monitored by security cameras. Our on-site managers keep a close eye on everything, and we’d be happy to get you set up with your secure self storage unit. 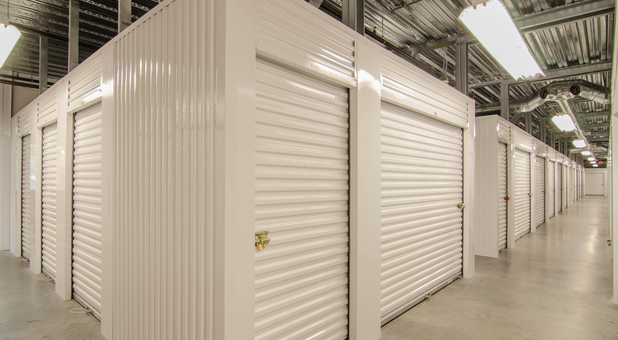 We’re proud to offer our tenants 24-hour access to our self storage facility. We have both indoor and outdoor units which range in size from 5 feet by 9 feet to 16 feet by 33 feet. Our indoor units are temperature controlled, giving you a practical way to keep your documents and other sensitive materials safe, and our outdoor units feature drive-up access. When you first reach out to us, we can give you an overview of what type of storage units are available, and we can help you select the type of storage that might work best for you. Whenever your situation changes, we can cancel or adjust your lease without any sort of hassle. Fountainbleau Storage understands that extended hours and access is important for musicians. For this reason, we offer 7am – 2am access hours for all studio spaces. Amenities included electricity, internet access, instrument storage, security measures, air condition and heat units, elevator access, vending machines, restrooms, month-to-month contracts. We try to make things as convenient as possible for our tenants. Once you sign your lease, you can arrange for automatic bill pay, and even if you don’t choose to utilize that service, you can pay your bill online or over the phone. Our office is open Monday – Friday, 8am – 5pm, and Saturday, 9am – 12pm; our call center is available every day, 6am – 11pm. Our music rooms have access from 6:30 am till 2:30am. We have packing materials available in our office, and we’d be happy to answer your questions whenever they arise. Fountainbleau Storage can give you the self storage space that you’ve been looking for in New Orleans, LA. Our diverse group of tenants includes college students who use us on a short-term basis, professionals who need a secure location to store their products and materials, and anyone in search of additional room to keep his or her belongings organized. Call us to learn more about how we can help you. Very nice and informing gentleman. Great company to do business with. I've had a rehearsal space here for almost a decade now. I have always been treated kindly and respectfully by all staff. The location is as central and convenient as you can get. Mrs. Betty in the office is AWESOME! She really makes this place feel like home. I have had my studio at the Fountainbleau facility for 10 years. I will say that I have been treated like family since day one. Anything I've ever asked for, they have gladly helped. I recommend them to anyone who needs a place to store things or a place to rehearse. There is no shopping around. This is the place to be.